Thank you for visiting my violin performance web page. 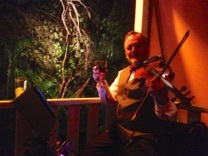 My name is Don Hicks, and I have been performing and teaching violin in South Florida since moving here from Boston in 1975. 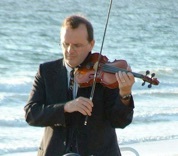 I am available for solo work in the Broward County area, playing music for wedding services, cocktail hours, parties, etc. My Cafepress Store has Teeshirts and more! Click above to control Demo audio. please make a donation to help keep mrfiddle.com going! Click Play Button above for 10 sample songs!